We are about 1 hour and 45 minutes southeast of Dallas and about 45 minutes southwest of Tyler, Texas. Please call us if you have any questions and we will be happy to help you.  You can also search for directions on your phone by searching for "Crystal Livestock Company."